Wow!!!!!!! I love every single one of these. Thank you so much!!! Jason and Jeff were truly the best. We had such a relaxing, wonderful time taking photos. And it looks like they captured the entire night perfectly. Salzman and Ashley did photography and videography for my wedding on September 1st and it was absolutely wonderful. Jason, the photographer, was amazing to work with! He was so nice and patient, and he is very skilled at his job. He knew exactly the type of photos to take, being creative and artistic in ways we wouldn’t have thought about. The pictures all came out beautiful! The owners, Lee and Cindy, were also extremely nice and great to work with leading up to the day. Highly recommend!! Nolan and I had a great time shooting our engagement photos with Robert in Central Park on Saturday! Thank you so much for all that you do and connecting us with Robert! Jason and his team absolutely blew us away yesterday! They were calm, creative, and extremely professional. We cannot wait to see some shots. Please send us anything you plan to share on Facebook to us first. Robert was awesome to have at our rehearsal dinner and wedding. Please send our thanks and appreciation to him and his team. We can’t wait to see what we know will be incredible photos. I’m a little bit late to send you this email but I wanted to thank you for sending Jason, Jenna, and Jay to our wedding. We are so excited to see the photos, but even without seeing them, I wanted to note how wonderful they were on the day of. They made our day even sweeter. Thank you for everything – we can’t to see our wedding photos!! Just wanted to say THANK YOU so much. we just received the wedding photos and they are gorgeous. Thanks for capturing the day so beautifully. can’t wait to finish looking through all of them. Salzman & Ashley did an incredible job on our wedding day !! They took so much time to make sure every shot was perfect. They did the perfect combo of modern and traditional pictures and every single photo came out amazing ! Most importantly they treated us like family ! Would highly recommend to anyone. I can’t say enough good things about Salzman and Ashley!! Photography and videography were my most important vendors for my big day and I am so happy I went with Salzman and Ashley! Cindy was a doll to work with, and was extremely professional from the very beginning. Our photographer, Jason, was very professional and did an amazing job with our engagement shoot. On our wedding day, he came with another photographer, Jay, and an assistant. I didn’t have to think or worry about anything! They were very punctual, calm, and professional! We did all the photos before our ceremony and they basically blended in during the reception and did their thing. The same goes for our videographer, who was awesome!! About a week after our wedding, we received a sneak peek of our wedding photos that left me crying tears of joy! The photos were more beautiful than I could have ever imagined!! About a week after that, we had the online photo gallery and raw video footage and we were blown away! Jason and the rest of the team captured our special day in the such a beautiful way, and we are so thankful for that!!! Salzman and Ashley was absolute perfection from the beginning. You can easily tell they have been in the business for many years, and everything was always handled with true professionalism. Every single question I had was answered very quickly and easily, and any worry I had was quickly put at ease. Cindy was a dream to work with every step leading up to the wedding. Our main photographer, Jason, was extremely awesome and has such a great eye for getting the perfect shot! After we saw his photos from our engagement shoot, we knew we had made the best choice! The photos came back so quickly (even after receiving a sneak peek a few days later). The day of our wedding, Jason, and 2nd photographer Jenna, blended in and never made me or my husband feel rushed or anxious. They captured every moment perfectly, and I could not have asked for a better experience. Plus, I received the online gallery of all of my photos in about 2 weeks, which is almost unheard of! I cannot thank Jason, Jenna, Cindy, Lee, and the rest of the team at Salzman and Ashley enough for helping my big day run as smoothly as it did! Thanks for the gorgeous pictures and captured memories! We just received our engagement photos back and we couldn’t be happier! One of the interesting things I noticed in the process of selecting a photographer was some of them cap the engagement session at an hour and restrict the days you can shoot these sessions to during the week usually during our work hours. We picked Salzman & Ashley because we felt like they were as invested in our photos and videos as we were. They truly wanted it to be their best product. When coordinating our engagement session with the team, they went above and beyond to work with our schedule. Brian never rushed us during our photoshoot and even agreed to meet us for a sunset shoot starting at 630 so we didn’t have to miss work. He never once looked at his watch to time the session. In fact, the sunset was so beautiful our session ran for almost 2 hours because we kept finding new locations for great pictures. He made us feel comfortable and suggested poses and welcomed our suggestions! I can’t wait to work with him and the team on our wedding day next year! I just wanted to thank you and your staff for Sunday! We had an amazing time at Alyssa’s and Mikes wedding. Your photographers and videographer staff were awesome! We cannot wait until we view the pictures and video of our special day!! We were so happy with our photographs from the Bar Mitzvah. Not only did he photograph the room prior to our arrival, he made it possible to photograph us as a family, got some great shots of Josh alone, and included our family and friends on this special day. We have seen the photos on line and would like to select photos for the album. What is the next step? Matt and I cannot thank you enough for being so wonderful Saturday. Thank you for helping me get through all the photos— which I hate usually but managed to have some fun with! We can’t wait to see what you have for us. First of all, Jacob and I would like to thank you for such a wonderful wedding day experience. Brian and Jay were incredible, and we had such a great time. We plan on sending you a formal thank you note when we’re back from our honeymoon! Just wanted to thank you again for everything and let you know how amazing Jason and Jenna were!. They made us feel so comfortable and at ease from our first look to the final moments of the night and we can’t wait to see the pictures!! Please pass along our gratitude! WOW. Cindy we are ABSOLUTELY IN LOVE with these pictures!!! They were shot so beautifully and I’m so grateful that we’ll have these to look back to remember our incredible wedding day. Please thank Jason 10x over for us. OMG is all I have to say. This weekend was everything I’ve ever dreamt of and more. I sat on the dance floor crying at the end of the night because I didn’t want it to end. I tried to call you but realized you were closed today so just wanted to contact you ASAP via email. I have to let you know, Brian was phenomenal and so was the entire team but Brian was truly OUTSTANDING. He’s calm, patient, creative, amazing and knows EXACTLY what he’s doing and how to manage his team. WOW WOW WOW. Our parents were all SO happy with Brian and with that being said we want to give him more than we did. How can we get a little something extra to Brian (and quickly bc we feel bad since he deserves more than we gave him)?! Was hoping you’d be able to tell us how we could do that. Also, I thought I had his cell number but I’d love to thank him again and tell him how truly incredible he is. Thank you again, Cindy. I will trust you and your company forever and continue to refer everyone I know to you guys!!!! Our wedding was July 4th and we just finished selecting our photos since there were so many amazing ones to choose from. This statement is a strong one, since they were dealing with a picky bride, and a groom who hates pictures. Cindy was terrific with us from day one helping us navigate the day, and paired us with the two best photographers we could ever have asked for. Both were perfect for our personalities. Jason, like me is a perfectionist and does not miss a beat. Robert was fun, whimsical, and captured all of the hilarious candid moments, and was a friend to my husband during their pictures together. As the day went on we hardly noticed they were there but they captured all of our perfect moments. We were so grateful to have them share our day with us. Back to Cindy, she has been amazing to work with. Flexible with our requests, and willing to help us out with anything we ask for. 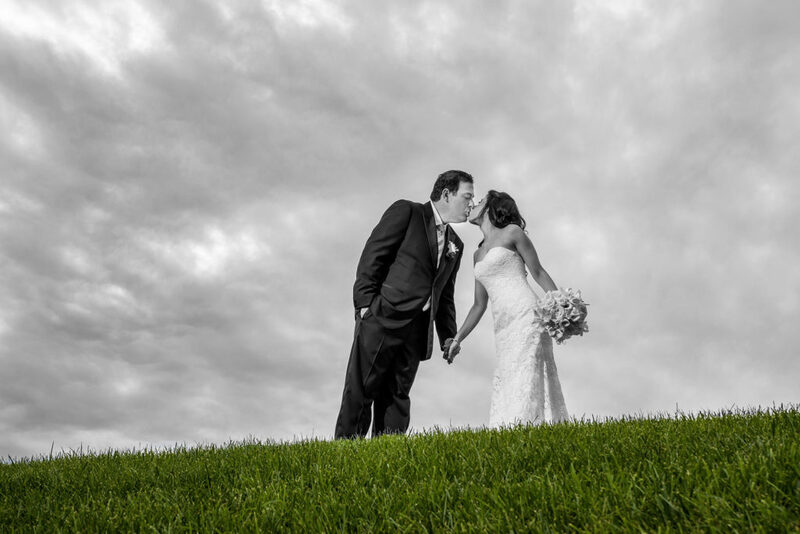 We are so happy we chose Salzman & Ashley as our photographers and highly recommend them to every couple! We just received our wedding photos and are beyond thrilled by how gorgeous they came out!!!! I could never even imagine such stunning photos. Brian and Jason did an amazing job capturing gorgeous, candid photos. Our family photos are just as beautiful, and they made them fun without being too stuffy and formal. They came to our house beforehand, froze with us at the park, and found all the right angles to make a chilly December day look like a Winter Wonderland. Amazing job. Loved working with them and Cindy from the time we booked them, the engagement shoot, and after the wedding. Cindy did an amazing job coordinating the day and making everything stress free. Would recommend them without hesitation!!!!!! Working with Salzman & Ashley has been a true pleasure. Cindy Salzman was very attentive to our needs and really listened when we explained what type of photography we were looking for. Cindy presented us with numerous samples of types of photography and was able to nail down the perfect match! Jason was incredible, unobtrusive, but knew when to step in. He even put up with us begging for more posed shots than we thought we wanted (sorry Jason!). Robert was equally as fantastic and working with both of them on our wedding day was carefree and comfortable. We are so looking forward to seeing our photos and would highly recommend Salzman & Ashley for any upcoming events! THANK YOU! 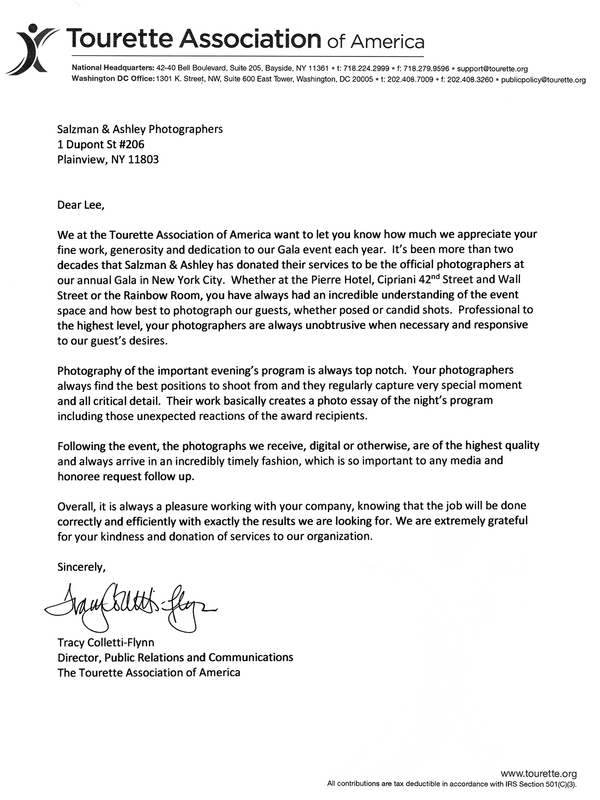 The entire Salzman and Ashley team were amazing to work with. Starting with Cindy Salzman at our first meeting she was so warm, friendly and very reassuring on any questions I had. Their work is amazing and fit well with the type of photos I wanted for my wedding. The team took the time to go to my venue and check out the best places for photos so on my wedding day there would be no concern on where to take photos. From the moment Carolyn came into the bridal suite she was very calming and took control of what she needed and started snapping away. She was so easy to work with and willing to do ANYTHING for a good shot (and we got so many of them it’s going to be hard to choose). Jason and Frank were both amazing and helped capture so many of the action shots. Using Salzman and Ashley for both photography and videography made everything better since Carolyn, Jason and Frank are used to working together and they all wanted to make sure both the photos and video were amazing. – Thank you Salzman and Ashley!! We want to thank Carolyn, Jason and our videographer Jeff for participating in our wedding on Sunday!! They were all warm, hardworking and patient individuals that made our experience that more enjoyable! Additionally, working with you has been a pleasure. We look forward to seeing the video and photographs! Ohhhhhh my goodness!!! Thank you so much for sharing!!! !we are currently on our honeymoon and seeing these photos just made our day!! It has been such a whirlwind ever since that day. We are so damn lucky to have been put in your hands. 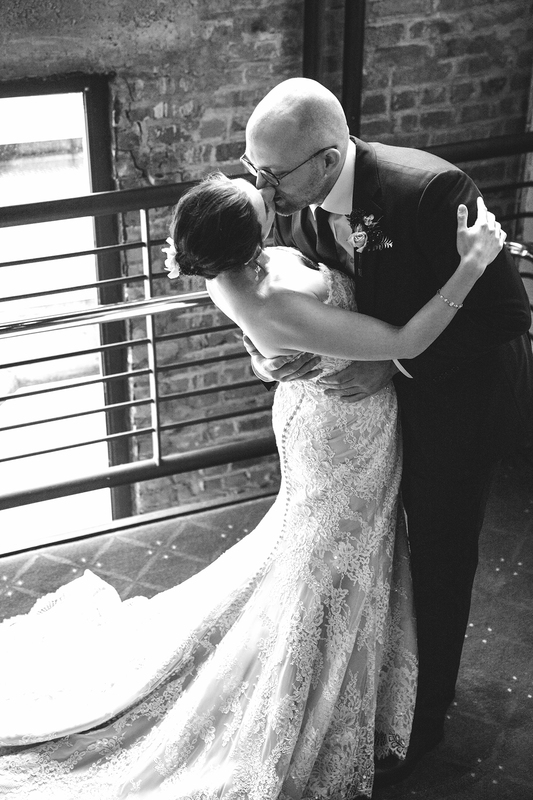 Brian and Carolyn were incredible (and it obviously shows in these photos)! We had the most amazing night of our lives and we’re so blessed to have so many of these moments beautifully captured forever. Can’t wait to see them all! Salzman & Ashley truly deserve 10 stars!! I just got the most stunning album in the mail! Our photographers and videographers where absolutely top notch, so patient, accommodating, and easy to work with! We are over the moon thrilled we went with Salzman & Ashley for our wedding! I highly recommend getting a video, trailer, and of course, a stunning leather bound album! A million stars for Salzman! I hope my family has many future occasions to use them! What an amazing event! And what an amazing team you sent!! Carolyn, Jason, and Will were kind and knowledgeable and they made sure we got all the shots we wanted. Thank you so much for all of your help through this process – it was everything we could have hoped for! We are looking forward to seeing the pictures!! Cindy! Robert was amazing!!!!! The pictures were so so so much fun, easy and he was able to capture everything I wanted. My wedding started at 3pm when he and Mike arrived! Josh loved working with both of them and he actually smiled for the camera. Robert got me to relax instantly and the few pictures I saw were unbelievable. Exactly what I wanted!!!!!!! I can’t wait to see them all!!!! I just wanted to email to say how great Jason was for our wedding!! Having our two HUGE families we know is crazy, but everything was great! Also, Jeff the videographer and Caroline were great as well!! Scott and I had an amazing night and we cannot wait to see our photos!!!! Hope you had a nice weekend. We finally had a chance to go through the pictures from Devyn’s Bat Mitzvah. Thanks so much for emailing and mailing the CD and flash drive. They were just incredible! Many thanks to you, Carolyn and Jason! I wanted to thank you photographing the shower yesterday. Carolyn was fabulous. She couldn’t have been more patient and professional. Capturing all the details with a sense of humor as well. We are looking forward to seeing her photographs and talents thru the lens. Evan and I are stunned by all of the beautiful pictures and video footage from our wedding! All of the pictures and footage truly captures our love and excitement and we wanted to thank you for such an incredible job! It was great working with the entire Salzman team during our year of planning! It’s been such a hard process picking out the pictures for the album since we love them all! 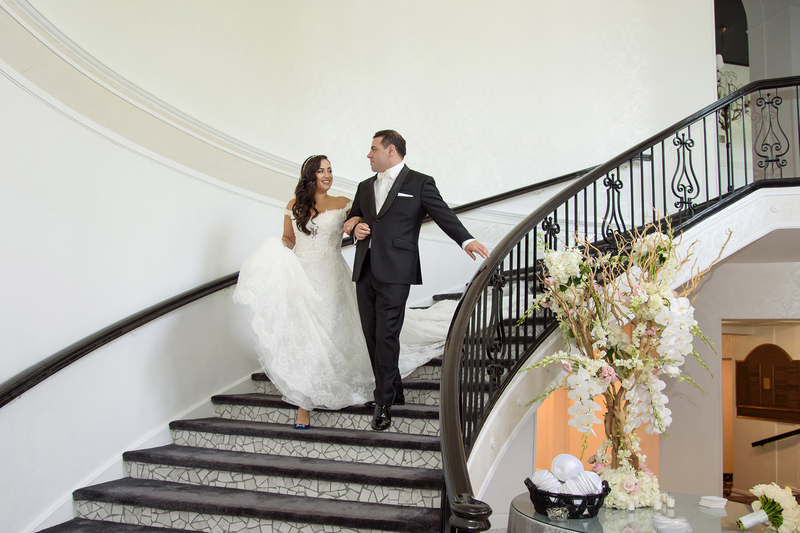 We are definitely so grateful for capturing every special moment from our big day. I just wanted to reach out and let you know how amazing Brian, Jason, Frank and the rest of the team were on March 4 for our wedding. They were kind, efficient, flexible, and true professionals all-around, even going above and beyond their required duties to make the day perfect. So thank you so much for literally being my favorite wedding vendor. Cindy- Good Morning. The wedding was beyond wonderful. Robert, Jason and Ernie were amazing and certainly made a fabulous contribution to the magical evening. We couldn’t be happier with Cindy Salzman and her entire crew! Cindy is as nice as could be and works with you to make sure everything is how you want it to be. Our photographers, Brian and Tim were on time, reliable, and got along so well with our wedding party, family and guests. They truly captured the happiness and love that was felt throughout the day and night. 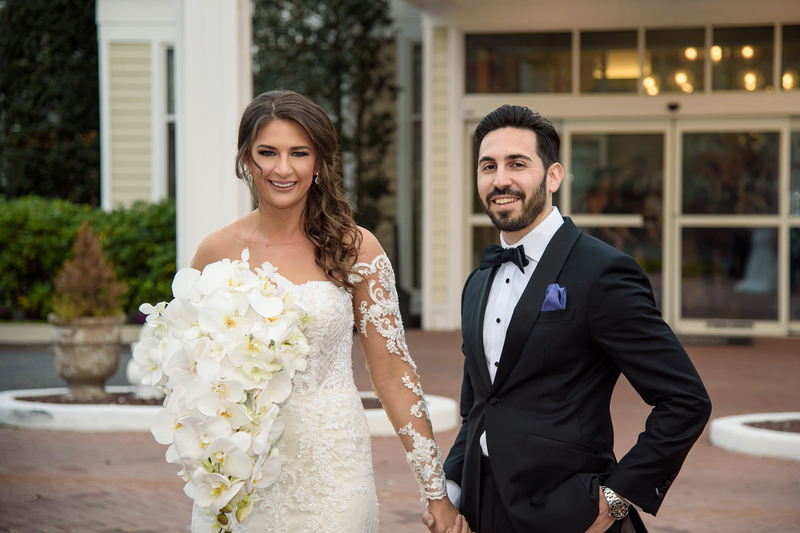 Our videographer, Frank, was also a pleasure to work with, and we have so much great footage from the wedding. Highly recommend! Thank you for your professionalism, patience & expertise in photographing the wedding of my children Jackie & Evan on November 5! We will most certainly highly recommend you to all! Thank you for the beautiful pictures of Allie’s bm. Jason & Robert truly did a phenomenal job. We want to thank you for all your amazing work, and helping to make our wedding day so special and fun! For two people that don’t love taking pictures, we could not have asked for a better experience! We also never seen anyone manage Jared’s rowdy group the way you did! I just wanted to tell you how wonderful Brian, Tim and Jason were on Saturday! They really had the trust of our family and friends and were amazing the whole day/night with Adam and me. We are so excited to see our pictures and video. We wanted to say thank you to the entire team of Brian and his crew for all the hard work Saturday and Saturday night. We look forward to all the wonderful pictures to choose from. Just wanted to thank you so much for the absolutely stunning photos!!! We are in love with them and it was such a pleasure working with you and Brian!!! Thank you again for everything!!!!!!!! 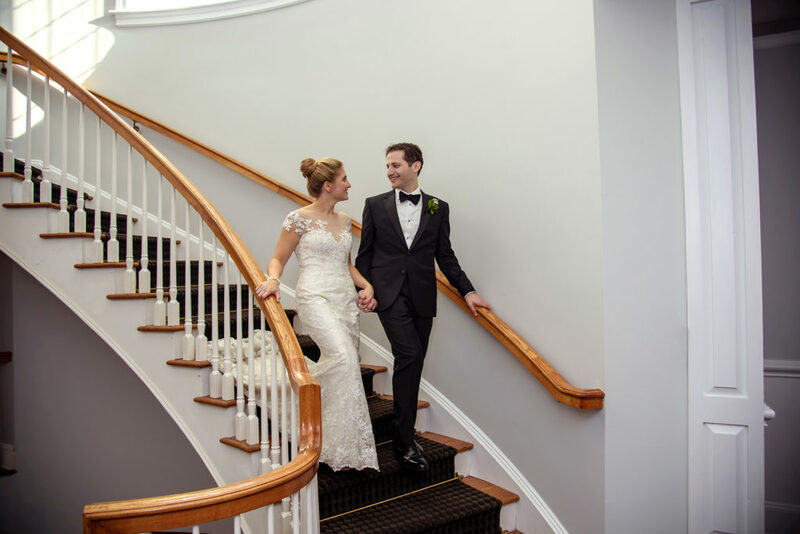 Cindy had just emailed us a “sneak peak” of some wedding photos and we could not let another moment pass without connecting with you! I had emailed her after the wedding to inform her of the pleasure it was to work with YOU and your staff! There was the utmost of professionalism as well as such a sense of calmness… which we needed! Most importantly, the photos we just viewed were spectacular!!! Such emotion was captured and the creativity was exceptional!!! The photos are spectacular!! We can’t wait to see the rest!! Wishing you the happiest and healthiest of Thanksgivings!! Just wanted to reach out and let you know that we had a great experience with Tim and his team. Everyone was fantastic! Once again Salzman and Ashley, led by Brian were exemplary! As I am in the process of recuperating from this magical weekend, I wanted to let you know that Brian and his staff were a pleasure to work with!! Brian was calming and added joy to the photo experience! I don’t have his email address so please pass this on to him. I personally thank YOU again for your for wedding wisdom and calming demeanor during this milestone! All the best to you and your family! Where to begin? Our wedding photos are gorgeous! We had such a wonderful experience with the dynamic duo of photographers Tim and Jason. We were having fun, they were having fun, and the results show off the true happiness of our wedding day. Tim, Jason, and our videographer Will not only captured the shots we had spoken about beforehand, but went above and beyond to seek out additional creative and beautiful imagery. In the office, Cindy Salzman has been extremely accommodating and helpful, and responds to all of my inquiries so quickly. We are thrilled with the photos and cannot wait to see the video. Thank you!! Hi Cindy, Craig and I just want to thank you for helping make our wedding amazing! Please pass onto Robert and Jason how amazing they were and we were so grateful to have them all there and it worked out great!!!! We cannot wait to get our pictures and we know they will be amazing! It has been so great working with you and we will definitely recommend Salzman and Ashley to anyone in the future! A tremendous shoot today! Tracy loved it and thought you were great. Can’t wait to see the photos. Thanks for your help today. I meant to get to you before this, but I just had to tell you how much we all enjoyed working with Carolyn. She was amazing and managed to get everyone where she needed them to take the pictures that we had requested. I think I speak for all of us when I tell you how impressed we were with her expertise and professionalism. Thanks for assigning her to us! Thank you so much if this is just a preview of all the amazing photos from the night I can’t even imagine! I just wanted to write briefly to thank you and Carolyn for all your hard work in making sure photos ran smoothly at our wedding last weekend! Carolyn is absolutely incredible ! Matt and I returned from our honeymoon and wanted to send you a quick note to thank you for all your help with the wedding process. Tim and Jason were great, and we absolutely can’t wait to see the photos!! I just wanted to let you both know that Mindy and I received the wedding albums. They look beautiful. Thank you so much for all your hard work and please thank your creative team for us. We are thrilled with them. I just wanted to say thank you for another amazing experience. Carolyn is the BEST to work with…we love her. Her assistant was great as well! Thank you for making Jake’s bar mitzvah photos fun! Thank you so much. As usual we could not have been happier with your team. Wish we had more children to marry off!!!! Happy New Year and Congratulations! 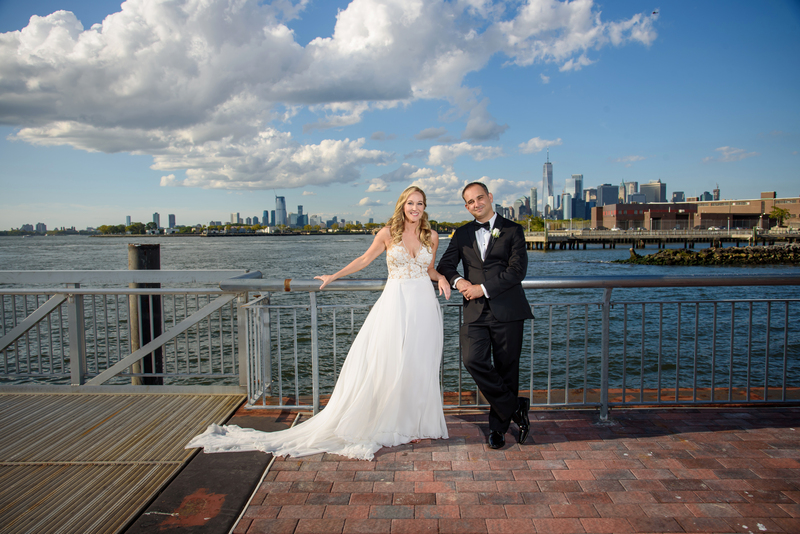 You have been selected as one of the very special bridal vendors to be named one of Manhattan Bride’s BEST OF 2016. With this award, we are happy to recognize your superior standards of service, quality, and reliability. On behalf of our brides, thank you again for your excellence, and, once more, congratulations and Best for the New Year! I just wanted to reach out to thank you as well as your entire team who worked at our wedding. All the photographers and videographers were so great to work with. Rob was so fun to work with and we were so glad Lee was able to be there and make the entire day and pictures run smoothly! We cannot wait to see the photos and video! Hope you are enjoining the holiday season! If we could give more than 5 stars to Salzman & Ashley Studios, we would! During such big events in our lives, we try so hard to be present in the moment and enjoy. But if we’re even capable of doing that, then we miss every other nuance that goes on around us! Everyone’s advice to us was “so many months of planning and it goes by faster than you can even imagine, enjoy it!” Well, not only did we have the best week-end of our lives, but we were able to re-live it and attend our own wedding ‘as a guest’ after the ingenious, creative, emotionally inspired work of Brian, Jason and Frank. Such talent. They made their jobs appear seamless and so easy. We could not believe moments that were captured! I think one of the best compliments to give is that for a large part of the evening, we had no idea where they were! Never intrusive. So many intimate moments and they got them all…every glance, a tight hug between guests, a supportive touch from a mother, a father’s proud smile looking at his daughter in the mirror, a tight crop of hand holding..and so much more. We could not have possibly asked for better or more. They were so organized too and that’s what you need on your wedding day, not to worry about a thing! The fact that Salzman and Ashley photographed Alison’s Bat Mitzvah 20 years ago and now photographed (her) our wedding, I’d say, shows the faith and reliability our family has in them. Then continue to prove us right and outdo themselves. WOW is all I have left to say. That, and THANK YOU for a lifetime of tangible memories. 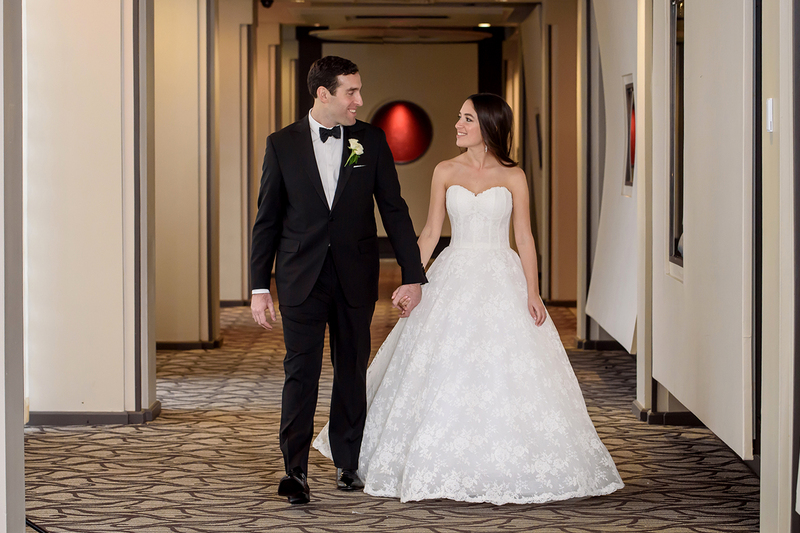 Julie and I wanted to thank you and your staff for making our wedding day extra special. You were so wonderful & easy to work with which made this time less stressful. Brian, Frank & Jason did a great job. I am sure the pics & video will reflect their hard work – I am sure they will (they had great subjects !) They were very professional & thorough & fun to “work” with. I hope Salzman & Ashley Studio will be available to do my (our) child’s Bar or Bat Mitzvah . Love this company!! Gorgeous photographs but more important a pleasure to work with…one wedding, three b’nei mitzvahs…and hopefully more to come!! Thank you so much for capturing every moment of our wedding. You are all such a pleasure to work with & we had so much fun collaborating with you on our wedding day in the months leading up to it! Our family and friends are all talking about how awesome Tim is & how nice Frank & Robert are! You are truly wonderful at what you do & the proof is in the photos you take, the filmography & your friendliness & generosity every time we call. We cannot express enough gratitude. Thank you for giving us memories that we will cherish for our lifetime! Thank you so much for all your help (and incredible patience) as we planned my wedding. Brian and Carolyn were absolutely spectacular …..
i have no words to thank you for the amazing staff you and lee sent us for jaimee’s wedding. although i owe special thanks to lee for being at the temple and orchestrating, which was really so incredible – i must say that so much credit needs to be given to the photography crew. from the time they arrived at our homes to the very end of the party – they were all beyond nice, professional, accommodating, in-tune with our needs and more! they were all just the perfect people to make one of the happiest times in my life even more perfect than it already was and i am certain the photos will be amazing! what can i say other than great people working for great people! hugs and kisses to you and lee for everything! Hi Cindy! I just wanted to say THANK YOU so much for last weekend!!! Brian and the whole team were AMAZING!!!! They got every shot we wanted and they made us feel so comfortable and calm. They were so much fun! Our experience with Salzman and Ashley could not have been better. Can’t wait to see the album and video, and relive our amazing night!! It is an amazing feeling to go through your engagement shoot, wedding day, and overall experience loving those with whom you’re working! I remember receiving a text message while I was at a wedding being given Salzman & Ashley’s name as a recommendation. Almost three weeks ago we were lucky enough to work with them at our own. From the minute my husband Jeff and I met Lee, the owner, there was a complete sense of comfort and ease. We loved everything we saw and heard, and soon after booked our engagement shoot and wedding. Our photographer, Tim, was so wonderful during out engagement shoot, bringing along his kindness, sense of humor, creativity, and artistic eye. We never felt pressured, or rushed, and he just wanted us to be as comfortable as possible and have fun! He succeeded. It was a perfect Fall day, and it will always be a great memory for us. Tim was our photographer at our wedding as well, and it was so nice to have him there, as we already had an established relationship. Throughout the many hours that he and Robert were there, they were wonderful not only as perfectionists in what they were doing, but they graciously checked in with us and my mother throughout the evening as well. She continues to rave about how lovely everyone was during those most unforgettable hours. Planning a wedding comes with some stress, big decisions, excitement, and many questions. Lee and I were emailing up until the wedding day, and every question I asked was always answered in a timely, helpful, calming manner that would make any bride feel reassured. At our very first meeting, Lee had said, “Don’t worry. You’ll be taken care of.” We have all felt that way since our very first visit. We became so excited when we recently saw some of our proofs, and cannot wait to see the rest of them along with our video! It is true when people say that your wedding goes by so fast, and you forget portions of the day as you’re overloaded on adrenaline and emotions…However, if anyone can capture all of the amazing moments, I’m sure it’s the outstanding team at Salzman & Ashley!! Thank you so very much for making my daughter’s wedding a celebration of love and wonderful memories. From the very first time that Deborah and Jeff met with you to the end of the wedding evening they, we, were enveloped with a feeling of experience, caring, thoughtfulness. Through the months and weeks of questions, answers, suggestions, solutions, your patience, ability, attention to detail made us feel that no issues or concern was a problem. I must say, the best reason I can think of to use Salzman & Ashley as our photographer, aside from the phenomenal talent of Tim and Robert, is the personal, intimate experience with which Lee embraced our family. And that feeling filtered down and through his wonderful staff. It’s the hands-on, personal touches of Lee that helped to make our journey to March 7th so special for us. We started to feel Lee was really part of our family and that is, surely, the perfect way to make your daughter’s wedding a night to remember. Salzman and Ashley Studios is incredible! I cannot express how thankful that I am to have found them and worked with them. Carolyn and Tim photographed my wedding and Will was the videographer. From the very beginning, everyone at Salzman and Ashley was a pleasure to deal with. They were so accommodating and easy going and extremely helpful and reliable. 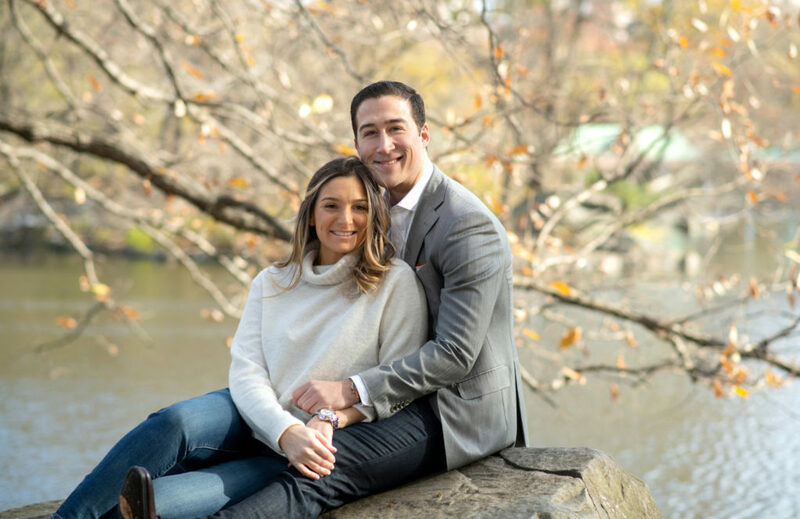 We met Carolyn during our engagement shoot in Central Park and we knew from that day, she would be amazing. She was so fun and easy going! The photography and videography on the wedding day went seamlessly! Everyone arrived on time and made taking pictures exciting and enjoyable! Any time I have called the office, anyone who has answered has been so extremely helpful. I would recommend their photography to anyone and everyone! We just got our proofs back from our New Year’s Eve wedding, and Tim did an amazing job. He captured every moment of the night. We highly recommend Salzman & Ashley! I just want to thank you for sending me another copy of the DVD for Michael and Naomi’s wedding. It was such a beautiful affair: classy, well done, touching and a lot of fun! The DVD captured the joy, the warmth, the energy, enthusiasm, and the love of the evening. The DVD brings back the delight and magic of their wedding. Once again, thank you for your help. We just wanted to let you know what a wonderful experience we had with Carolyn, Jason and Robert. They arrived early and were right by our side up to the very last song of the evening. Thanks to their professionalism, attention to detail and organization, we were always on schedule and not a moment was missed. Special thanks to Cindy who helped us plan the perfect schedule. We took portraits before our ceremony and they worked closely with us to make sure we got every combination we wanted. They were so easy to work with, extremely patient and made our families immediately feel at ease. We were so impressed with their creativity and their ability to capture our most intimate moments without being intrusive. They captured moments we didn’t even know existed. The pictures are spectacular and we couldn’t be happier. Every moment was captured so beautifully- our biggest problem is narrowing down all our many favorites. 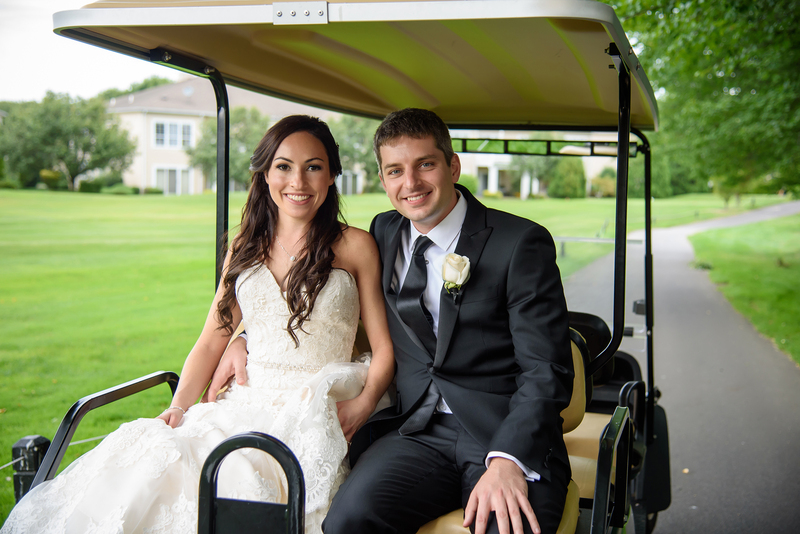 We just wanted to let you know that Brian and his team and the videographer were absolutely amazing at our wedding. They were professional and friendly and extremely helpful. The photos are so amazing. I was recommended to Salzman and Ashley by two of my friends. The photographer Carolyn, and her assistant assigned to my event were amazing in addressing every detail to assure the photographs would be perfect. Moreover they navigated through the guests with ease and courtesy making everyone happy to pose for a photograph. As a result the photos surpassed my expectations. I would highly recommend this studio. 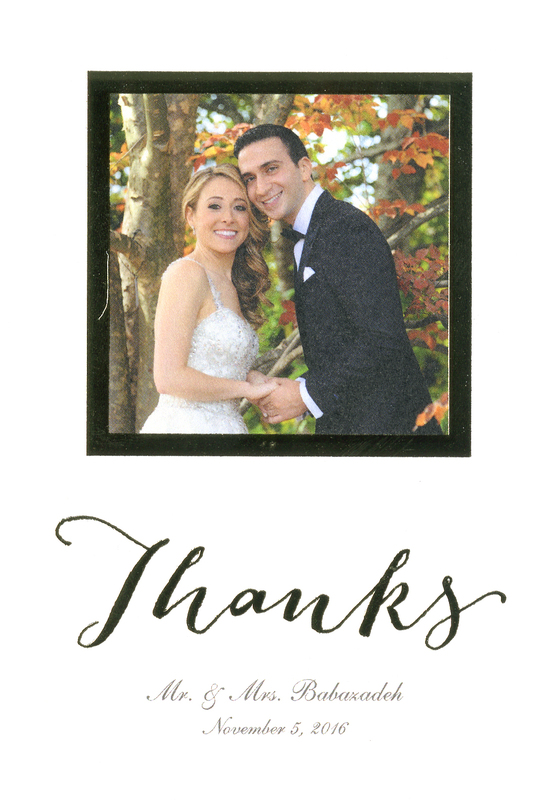 Ali and I wanted to thank you for all your efforts in the lead up to and during the wedding. The team was so collaborative and helpful with everything along the way. We can’t wait to see the final product, but either way, so appreciated Brian’s demeanor, energy and creativity. I LOVED the album!! We all did!! It’s perfect!! It was worth the wait ;)! Thank u for everything!! First off, Noam and I just wanted to say THANK YOU so incredibly much for how smoothly all of our photography went on Saturday. Tim (especially), Jerry, & Leslie were wonderful. It was such a perfect night and we couldn’t have asked for more! Brian was great! I loved his relaxed supportive demeanor. I wanted to email you to tell you how wonderful I thought Carolyn was while shooting our engagement photos last Friday. She was such a pleasure to work with! She was so easy going, fun to be around and seemed to genuinely care about what Zack and I wanted. I never thought shooting an engagement shoot would be so fun and easy! Cannot wait for the wedding!! Hope all is well. I am sorry I didn’t get a chance to email you sooner, but after I picked up the album last Saturday I left the following morning for a business trip and just returned late last night. Either way, I wanted to thank you and Cindy and everyone there for putting together such a beautiful album for Barry and Marcia. It came out even better than expected and they are both thrilled with the results. I appreciate all your help and time with it. Thanks again! Enjoy your week. We just wanted to let you know that the engagement photo shoot this weekend went very well. It was great working with Tim. He is a true pro and knows how to get just the right shot and put us at ease at the same time. This photo shoot was a great idea and will certainly help come the wedding day. Thanks you again for everything. Tim, thank you to you and your assistant for a great night. It was absolutely amazing working with everyone! Brian and Tim were fabulous and the videographer was excellent. You can truly tell they captured every moment. And please thank Steve for the absolutely incredible trailer video. His work is unreal and the best I have ever seen. You are an amazing company and if I could do this all over I would choose the exact same crew to be there on our special day. 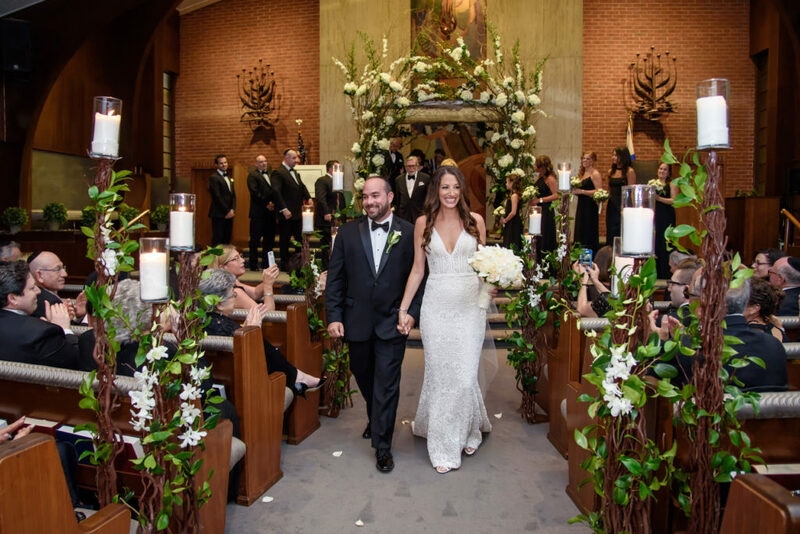 Thank you for all your help to make Allison and Lee’s wedding at Temple Beth-El so wonderful. Please tell Brian and Tim and the video staff we thought they were terrific. They were always at the right place at the right time. I just wanted to say thank you. The day was absolutely perfect and Cory and crew went above and beyond. They were wonderful. bat-mitzvah. Thank you for memories that will last a lifetime. What can I say but Thank You!! Your photographers were amazing. Thank you for a SUPER SPECTACULAR EVENING!!!! Cindy, we had a wonderful time working with Brian, the hilarious Tim, Frank and the rest of the crew. We know they got all the shots, because wherever the action was, they were there. The studio photos of Brianna which Carolyn took were exemplary, and it has been a true delight working with you and every member of your team. Cindy, Seth and I want to send a HUGE thank you to you, Brian and his team—they were such a pleasure to work with Saturday at our wedding. Please send along our thanks to them all. Hi Cindy, I just saw the engagement pictures and they are GREAT!!! Thanks so much to you and Brian! I can’t stop looking at them! Cindy, a HUGE thank you from David, myself, and our families! Cory, Carolyn, Ashley and Ernie were so great, fun, and professional… We had such an awesome time with them! Brian, Thank you SO much for those incredible engagement pictures. We are so in love with them and share them with everyone we talk to. Brian and August, We cannot thank you enough for the beautiful work you did for us. We love our wedding photos and are having a difficult time narrowing down our favorites! Thank you for being professional, yet fun always. We have already recommended you to some newly engaged friends. Brian and Lee, Thank you so much for a fun and exciting photo shoot. David and I had such a great time and we can’t wait to see the pictures! Lee, Please thank Howie and Cory and his assistant. They were fabulous-easy to work with and always trying to please us. I saw the photos-great!!! Cindy, I just wanted to say thank you. Brian was amazzzzzing. Loved the pictures. Loved working with you. Brian, Lee, Frank, Tim and Jason, Thank you for everything you have done for us during the wedding process. It has been a pleasure working with you and you were all so professional and fun duringthe wedding and all of the events leading up to it! Brian did an amazing job with our engagement photos. Thank you for everything and we hope to have the pleasure of working with you in the future. Brian, We love every single picture and can’t narrow them down!! Thank you again for everything!!! Tim, Many thanks for all of your patience and efforts to make our daughter’s wedding so special. We really enjoyed working with you! Cindy, I wanted to express my thoughts about the professionalism displayed by your photography staff. They were the stand outs of the day. Brian and his assistant were absolutely wonderful! They helped set the tone and spirit of the day by relaxing the wedding party during the pre-event photo sessions. Even the guests asked who the photographers were based on how they interacted at the party. I truly appreciated that they wanted to please us and capture our vision of this special day for us. Brian, Cindy, and everyone else, We cannot thank you enough. Our wedding was everything we dreamed of and more. Brian, you were so patient and organized and didn’t miss a step. You kept us on time, having fun, laughing, and making us feel confident and beautiful. From the bottom of our hearts, we thank you for your creativity, kindness and for being there. Cindy, WOW! We’ve been having so much fun with our pictures, just looking at them over and over again (really, for hours! ), just incredible! We were amazed at how incredible the pictures came out, while Brian & Tim literally remained hidden for the entire time, and certainly during the ceremony itself, none of us noticed any of the salz-ash crew. That alone is incredibly special, and just phenomenal. Lee, Josh and I wanted to thank you for doing such a wonderful job at our wedding Sunday night. We had a fantastic time and we could really tell that Howie, Cory and Frank were capturing all of the great moments! They were truly fantastic. Cindy & Lee, As we celebrate our 1 year anniversary we are reminded of all the amazing people who made our wedding day so memorable. We love looking at the pictures from our wedding and know of no other photography studio that could have captured our wedding better. Thank you for everything. I just wanted to thank you for the beautiful album from Arielle’s Bat Mitzvah. We love it and it will bring us a lifetime of wonderful memories! My mother-in-law said it was the nicest album she had ever seen (and not just because it’s her granddaughter). Cindy & Lee, Thank you for all your help in making Helene’s and Aaron’s wedding so special. I would like to let you know how helpful and lovely all your photographers, videographers, and assistants were It was a pleasure to work with them. They were not intrusive or pushy; they were professional and fun to work with! I’m sure you saw H&A’s photo in the NY Times. It was excellent. Brian and Tim, Thank you very much for putting so much effort and great care into your work. We are so lucky as we get to appreciate your work for years and years. You are true professionals! Cindy, I love Luke’s Bar Mitzvah album and so does my whole family. Thanks to you and your staff for doing a great job. Debbie was terrific and you whole design team really understood what I was looking for. Carolyn, Gerry, and August, THANK YOU!!! Thank you for capturing fleeting moments that Josh and I will treasure forever. Thank you for helping to lock in memories that rushed by in a flash. Thank you for keeping me sane during family photos! You all truly helped to make our wedding as special as it was to us and we truly cannot express our gratitude enough! 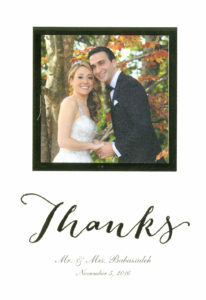 Cindy, Brian, Phil and the entire Salzman and Ashley team, Thank You for the most beautiful pictures and video ! We can’t stop looking at everything. From the engagement shoot to the wedding portraits, your patience and expertise made us feel at ease and relaxed. Thank you for your warmth and creativity. We greatly appreciate all you have done for us, and can’t wait to make some albums! Cindy and Debbie, I just returned from Italy and saw both my album and Rebecca and Brad’s album. They are both truly magnificent. We’re so happy the way the albums came out. Many of Rebecca’s friends who got married before her are still struggling with how to start the album. They were not mailed all the proofs and they have no one like Debbie to sit with them to create the album. You were so patient as we tweaked our albums to perfection. Thank you so much for capturing all of todays special moments for us. We are sure the photos and video will help keep the memories today has made very sharp in our minds. Cindy, Your photographers did an outstanding job & we are grateful for their hard work. Debbie, Adam and I are so thrilled with our album. We have looked through it countless times and it truly captures our wedding day! Thank you so much! Carolyn, Thank you for being so wonderful. Your warmth, sensitivity, sense of humor and talent behind the camera are unparalleled. From the engagement portraits to the wedding photos, one picture is more beautiful than the next. You captured every moment we ever could have wanted and you did it with professionalism, a big smile and lots of laughter. Your passion for what you do is evident and we are grateful to have shared this experience with you. Howie, Thank you for all your hard work and PATIENCE! We had a wonderful time at Abby and Lonny’s wedding and I know the pictures will always remind us of their special day. Cindy, We have enjoyed working with all of your staff, and the creativity of your company is bar none. With your guidance we have been able to wow guests with your one-of-a-kind photo montages. After each of our events, I received several calls asking who my photographer was and could they have your number. It is an absolute pleasure to work with you and we thank you for everything you have done for us. Debbie, I got our albums!!! Love! Love! Love! Thank you so very much for everything!! Looking forward to share many more happy occasions with the Salzman and Ashley family.